Civil marriage, civil wedding. Celebration of the civil marriage before the notary Mtre Leopold Lincà, notary, civil marriage celebrant (civil wedding officiant) and civil union celebrant in Montreal, Laval, Longueuil, Brossard. For most people, there cannot be a more precious moment in their life than the celebration of a civil wedding, their wedding ceremony and, in general, all the preparations regarding their civil marriage. Choosing a professional wedding officiant at an affordable price who can offer you customized rates for his services is an important step in carrying out your project for a dream civil marriage and for a personalized wedding ceremony. The wedding officiant should be able to ensure you have the best memories of this unique day. Who can act as a wedding officiant? Among legal and administrative professionals, many of them are authorized by the Minister of Justice as marriage celebrants/wedding officiants, starting with notaries, clerks and even mayors and members of municipal councils or borough councils. What are the steps you need to follow to get married or to get civilly united? 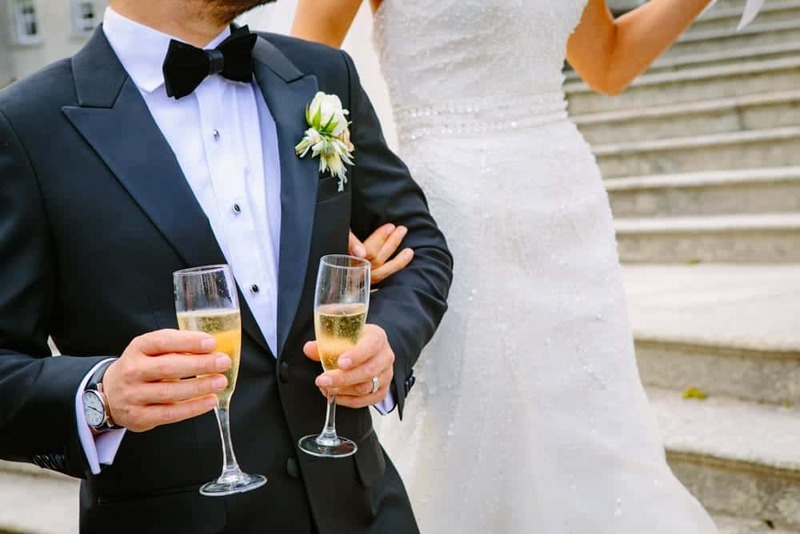 After selecting a wedding officiant who meets your needs, you will have to make an appointment with him in order to learn more about the rights and the responsibilities of the spouses, the matrimonial regimes and about the marriage contract. There are no family ties between the future spouses which would prohibit the civil marriage. Once these conditions are met and validated, the wedding officiant will publish the act of publication of a civil marriage, according to the Civil Code of Quebec, which requires that future spouses who get married or unite civilly make the event public by posting their intention to unite at the place of the ceremony and at the nearest Palace of Justice. 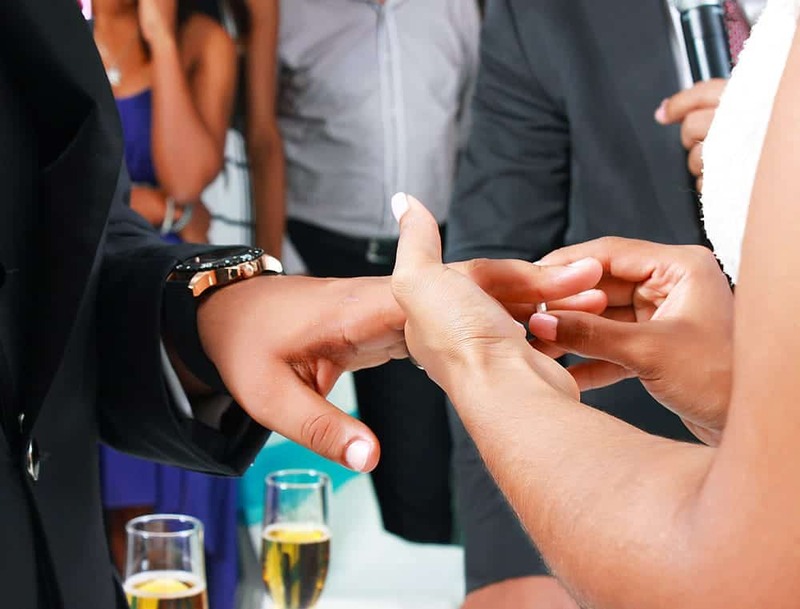 The posting of the bans must take place at least 20 days before the date which has been set for the marriage or for the civil wedding or civil union ceremony, but not more than 3 months in advance. There are cases in which a dispensation of publication may be granted by the wedding officiant because of certain moral or humanitarian impediments. On the date which has been established during the first meeting, the future spouses and their close ones will participate at the wedding ceremony at the place of their choice (in this case, if they have a notary as their wedding officiant). What does a marriage ceremony or a civil union ceremony imply? All wedding celebrants approved by the Minister of Justice must respect certain steps during the marriage ceremony. Thus, the officiant of the civil marriage will have to read (in French or in English) to the future spouses the articles 392 to 396 from the Civil Code of Quebec, in the presence of two witnesses. Then, each of the two future spouses must express their free and well informed personal consent. The wedding ceremony will continue by the time the future spouses sign the Declaration of Marriage or the Declaration of Civil Union, followed by their witnesses. The wedding officiant will subsequently provide them with a copy as proof of civil marriage or civil union and he will also send, without delay, the Declaration of Marriage or Civil Union to the Director of Civil Status. The wedding officiant will have to send within 8 days after the ceremony the Marriage or Civil Union Bulletin to the Institute of Statistics from Quebec. How to customize your civil wedding or civil union ceremony? If you choose a notary wedding officiant, you will have the opportunity to get married according to the requirements of the law, and to additionally add your personal touch to the ceremony. All this is possible because the notary is flexible regarding the location of your wedding ceremony and this place can range from an elegant ceremonial room which is made available by the notary at his office to a place of your own choice such as a beach, a park and so on. In addition, the wedding celebrant can also offer you various wedding themes, depending on your traditions and personal history. Enjoy an unforgettable ceremony by celebrating your civil wedding or civil union in front of Mtre Leopold Lincà, notary in Montreal, who will be more than happy to organize a wedding ceremony according to your wishes, at an adjustable fees and a reasonable total cost and which will turn out to be an exquisite moment for you and for your loved ones.